Our branded tube polyester lanyard with bullnose clip is 37" long and safely holds your keys, license, and ID badges. The personalized logo 37 inch tube polyester lanyard with bullnose clip is the perfect business freebie to give out at company events. Not only is it functional, in that it securely holds a key ring or ID badge, it's affordable and creates long term brand recognition. The bullnose clip is easy to use and safely holds a dorm key or a driver's license, while the polyester lanyard is comfortable around your neck. 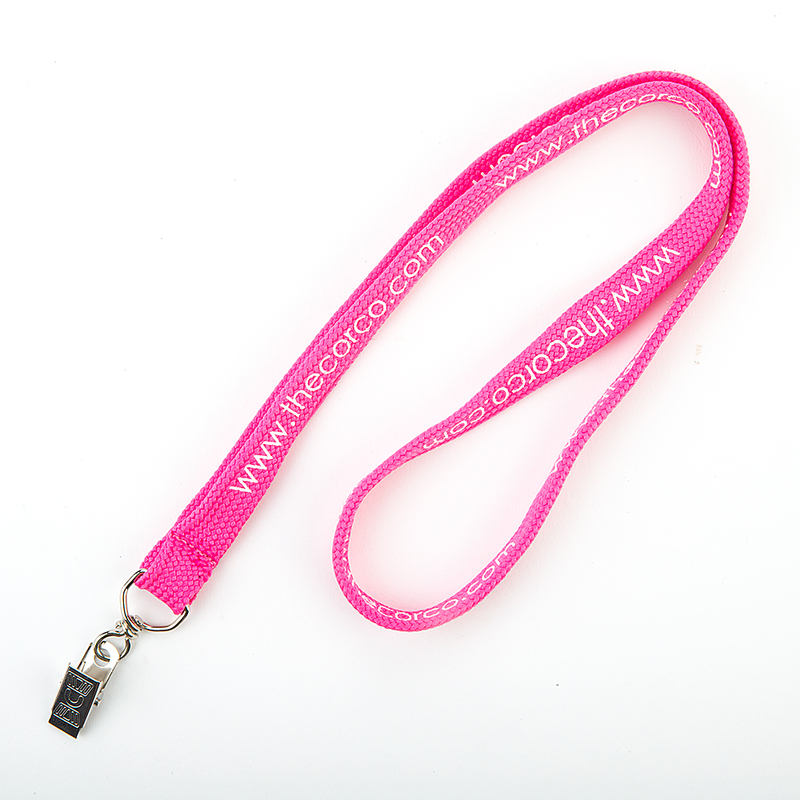 Share your company name and colors on this custom lanyard and give some out to your current employees or potential customers.